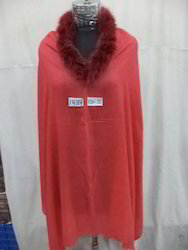 We offer you Viscose-Acrylic poncho with real fur neck in Jamawar, border designs,all over designs with and with embroidery. 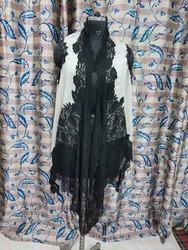 We offer you Viscose-Acrylic poncho with real fur neck in Jamawar,border designs,all over designs with and with embroidery. we offer you woolen knitted ponchos in all Natural and bright colours with very very soft hand-feel which gives warm to body.Always available in stock in assorted colors and designs. we offer you very soft woolen knitted shawls in 10 Natural colours with milange size 70x200 cms.Always available in stock in all natural colors as well as in many dyed colours. we offer you woolen knitted pochos in 10 Natural colours with Milange.Always available in stock in 10 Natural colours and many assorted dyed colours. 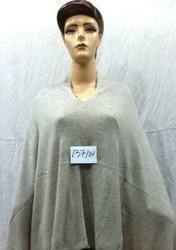 Pure Thick woolen with Fur Neck poncho or Cap available in assorted colours. Size 70x200 cms stole size. Customized colours can be made on Order basis. 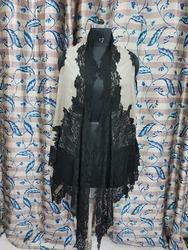 We offer you 100% merino wool designer lace poncho or cape. 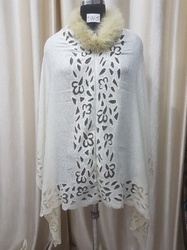 85% merino wool blended with 15% silk nett applique and real fur neck shawl/cape and poncho. Available in assorted colours and designs. 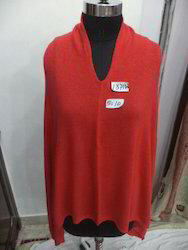 We offer you 85% merino wool with 15% silk with 4 side nett applique and fur neck poncho/cape in assorted colours and designs.